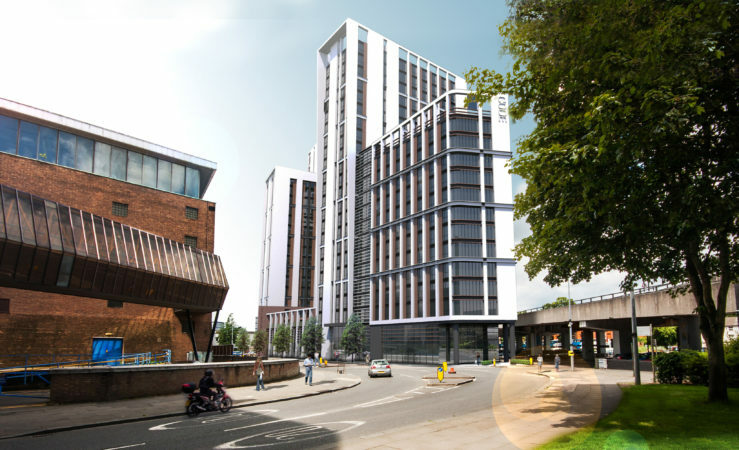 Now granted planning permission, this is the development of a large mixed use scheme on a former car park site in Coventry city centre, close to the University. 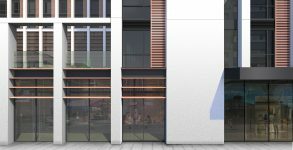 The development consists of 1000 high quality student studios, associated facilities such as a gym, cinema and student lounges, along with office and retail accommodation at lower levels. 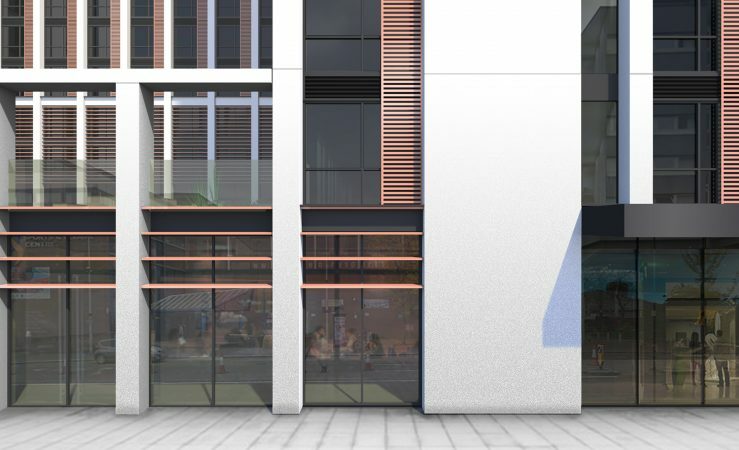 At 22 storeys, the scheme has a significant urban design role to perform, with a need to generate and contribute to the street scene with active frontage and legibility, whilst acting as a longer distance landmark for the city. 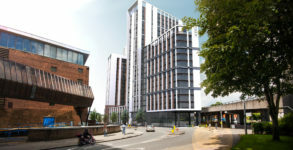 The scheme also integrates historical features of the site, marking out and presenting the location of part of Coventry’s medieval city wall.